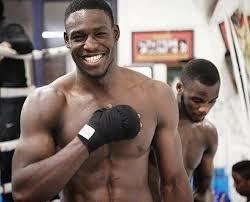 Richard Riakporhe is yet another cruiserweight sensation looking to make his mark on the domestic scene and gate-crash the hype of Lawrence Okolie and Isaac Chamberlain – even if that fight did end up being a very, VERY damp squib – five fights in as a professional, the 28 year old makes his first appearance on a televised show at the end of March this year and will be looking to make a statement having stopped his last four opponents inside the scheduled distance. You’ve moved to a 5 and 0 record, how many fights are you looking to get under your belt this year? I’m looking to have at least 5 fights this year. Essentially to increase my ring experience as much as possible so the more the better. And in a crowded domestic scene with the likes of Isaac Chamberlain, Lawrence Okolie and Chris Billam Smith all being touted as “ones to watch” do you fancy yourself as adding your name to the mix? I do fancy my name being thrown in the mix as it brings more light to the cruiserweight division. The cruiserweight division has been lacking attention in the recent past but since me, Chamberlain, Okolie and Smith turned professional things are starting to change and there will always be entertaining fights when young hungry fighters are ready to risk it all to make their mark in history. I think I saw recently you saying you were meant to face Okolie last year, how does your mind-set change when accepting a fight at such late notice? Essentially most individuals stumble across opportunities but few are able to take them due to the individual not being prepared and in this case I mean mentally or physically prepared. So I’ve learned that in this life it is imperative to stay prepared at all times and is what I now strive to do so when the next life changing opportunity arrives I will be able to take it. We’ve seen you sparring the likes of Chris Eubank Jr and Mateusz Masternak so what do you learn from these experiences? Sparring the likes of Mateusz Masternak and Chris Eubank has taught me that there are different levels of skill in this boxing industry and you can be punished by making the slightest of mistakes so it is essential that one takes this sport very seriously through dedication and work ethic to able to mix it with the best in the world. On the undercard of Whyte-Browne at the back end of March if all goes well will you be looking to be on more of these big arena undercards? My aim is to box on these big bills frequently so I plan to put on a great performance and it’s also inspiring for me to do better in order to gain more opportunity like this to perform in front of thousands of people. Seeing progress, even just a little gives me so much motivation. Ted Bami’s in your corner, what’s it like to train with him? I would like to describe Ted Bami as a humorous character and can be a bit of a comedian at times. He cares a lot about his fighters and has also achieved a lot as a fighter himself so brings experience to the table which is priceless in this game. Let’s talk briefly about Chamberlain-Okolie; Chamberlain is your gym-mate and you were ringside for that fight, was it all set for Okolie to look impressive? To an extent but not really because when a man is able to fight another man he has the ability to stop his opponent from looking impressive. By exercising his own volition he can still win over a favoured opponent and history has shown on this many times. Couple of quick questions – you’re a graduate from Kingston University, what was the course? Who’s the hardest puncher you’ve faced – amateur, sparring or professional? The hardest punch I’ve received was most definitely by Anthony Joshua in sparring. Finally then mate what plans have you got for 2018? Any particular fights for the year – maybe a Southern Area clash against Wadi Camacho? I want to win some titles this year for sure and I would not mind mixing it with whoever. I aim to create a legacy for myself in the sport of boxing. Given that Riakporhe has no nickname as of yet, I’ve decided to dub him “Ruthless” Richard Riakporhe based on the ruthless nature in which he dispatches those who dare step into the ring of him – all bar Jason Jones, in Riakporhe’s first fight, have been finished before the final bell and that sort of finishing instinct should see the cruiserweight talent go a long way.